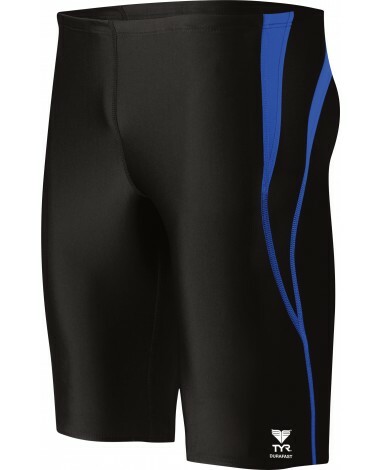 Durability knows no limits with the Men's Durafast Splice Jammer Swimsuit. The SPSP7A swimsuit is made with 100% polyester and is 20 times longer lasting than traditional swimwear you can be sure the fit won't sag and the color won't fade in the sun or chlorine. Boasting four way stretch technology and UPF 50+, this Durafast swimsuit provides excellent freedom of movement and sun protection. Featuring an above-the-knee cut, compressive fit and adjustable drawcord waist, TYR jammer swimsuits give you the perfect balance of support and freedom of motion. Choose from an array of fashionable color combos and splice up your life! Great buy, reasonable price, the shipping took longer than expected. A: Thank you for your inquiry. The inseam on the Men's Durafast One Splice Jammer for size 30 is 10 1/2 inches. A size wasn't indicated, so this is a guideline. Q: What is the difference between Durafast and Durafast One? A: Thank you for your inquiry. We offer Durafast Elite which is 94% Polyester/6% Spandex, Durafast One which is 100% Polyester and Durafast Lite which is 88% Polyester/12% Spandex. Polyester PBT is a stronger polymer that provides better performance properties, but still part of the polyester family. Q: Going to do my first triathlon pretty soon… will these be okay to run and cycle in? don't need any padding for the bike as its only a short ride on a comfy bike seat. A: Thank you for your inquiry. 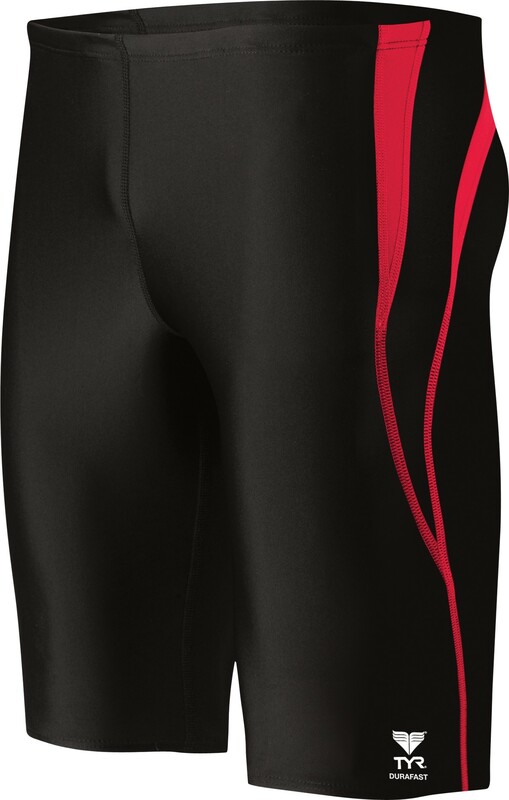 The Men's Durfast Jammer is designed specifically for swimming. Although you certainly can wear any apparel choice of preference for short triathlon distances, you will not get the same level of compression benefits that a tri-short will offer.